Benno is REALLY excited about his first day at school. Mommy can’t bear the thought of being separated from him! This laugh-out-loud tale of a brave little bear an his anxious Mummy will charm little ones and their parents alike. 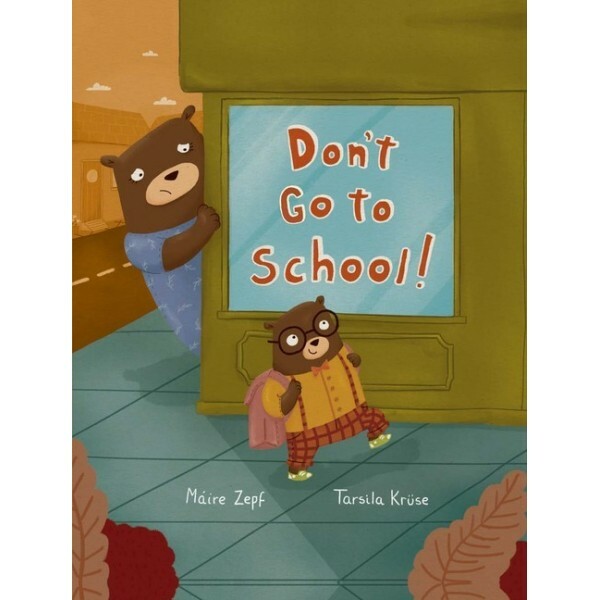 A very funny story with a very useful, reassuring message about starting school or playschool. ​Máire’s tale of the Mommy bear who can’t let go will charm little ones and their parents alike. Dublin-based Tarsila’s illustrations are adorable. 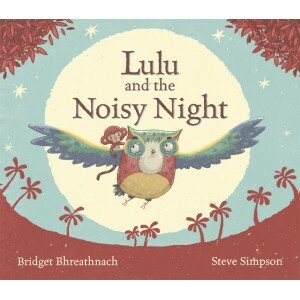 was short-listed for Gradam Réics Carló, the Irish-language children’s book of the year award. She juggles fulltime motherhood and writing. Tarsila Krüse is a Dublin-based illustrator who loves storytelling, color and fun. Her work is character-focused and is influenced by everyday relationships with a whimsical and heartwarming touch to it. and is now available in English. Krüse’s art, in bear-friendly shades of honey and moss, is as warm and balanced as Zepf’s story. Tá eagla ar Lúlú an moncaí beag roimh na fuaimeanna a chloiseann &nbs..
Gearrliosta Gradam Réics Carló Leabhar na Bliana 2016 Gearrliosta Leabha..